Do you want a free turkey this Thanksgiving? From now until November 13th you can earn points to go towards your free turkey. You can redeem your turkey discount from November 14-24. Discount is eligible on a Norbest frozen turkey. 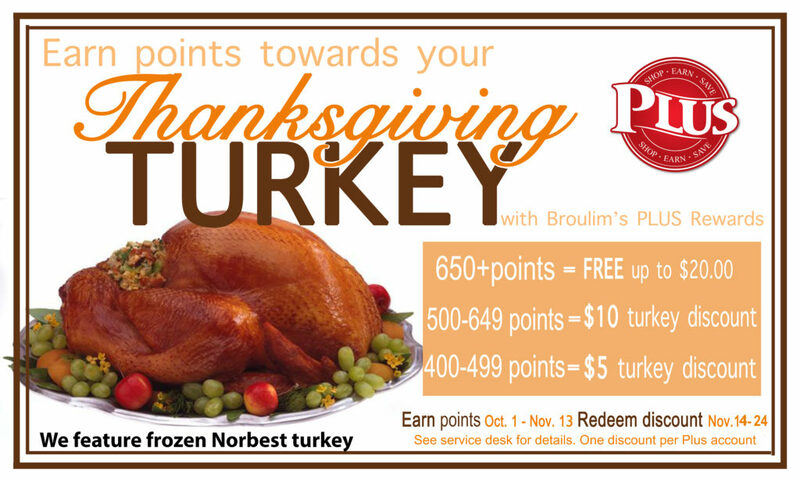 Come in and start earning points towards your free turkey today!